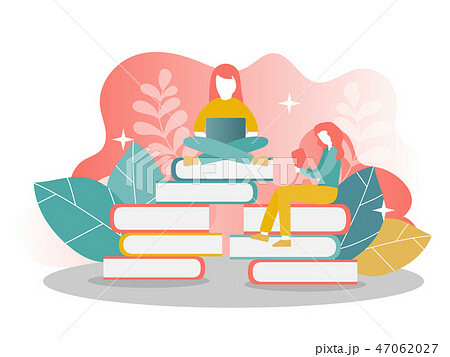 Landing Page Template Of Online education - Reading Books - Two Girls. Modern Flat Design Concept Of Web Page Design For Website And Mobile Website. Vector Illustration.